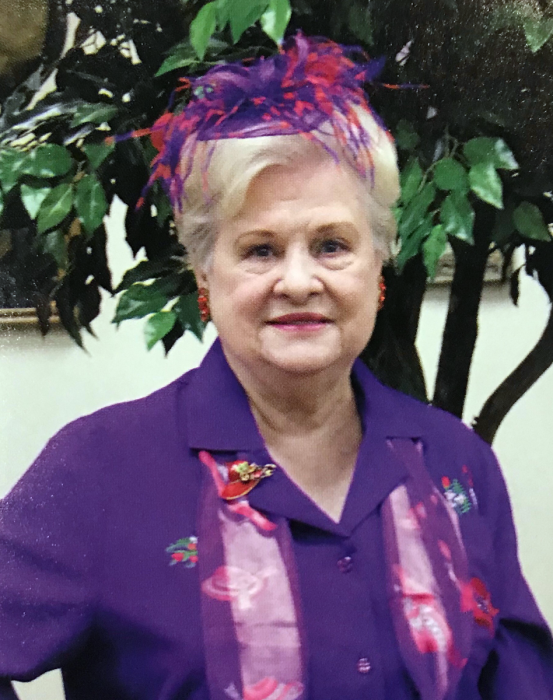 Margaret Torbett Frost, 92, a resident of The Bridge at Ooltewah, went to be with Jesus, Wednesday, November 7, 2018. Born December 3, 1925 to the late James and Ina May McGhee, she was preceded in death by her husband of 35 years, James Austin Frost. Margaret was a proud member of the Chattanooga Women’s Red Hat Society. She attended Morris Hill Baptist Church and the Seniors Singles Sunday school class. She took extreme pride in her family and loved to watch her grandkids grow, going shopping and was renowned for her cooking and baking skills. This unique and precious lady will be missed by all who knew her. She is survived by her sons, James (Jim) (Beverly) Frost, and Edward (Judy) Frost; grandchildren, Stephen (Angela) Frost, Stefanie (Gunnar) Durham, Mike (Toni) Frost and Stacie (Keith) Cole; great-grandchildren, Alexis Salerno, Emerald Frost, Pierce Frost, Faith Alexander, Sarah Payton Durham, Charlie Durham, Zachary Frost, Olivia Oliver, Brittney Cooper and Jordan Hughes. Funeral services will be held Sunday, November 11th at 4 p.m. in the funeral home chapel with Rev. Tommy Preston officiating, A private family burial will be held at the Chattanooga National Cemetery. The family will receive friends Sunday from 1-4 p.m. at Heritage Funeral Home, 7454 E. Brainerd Road.